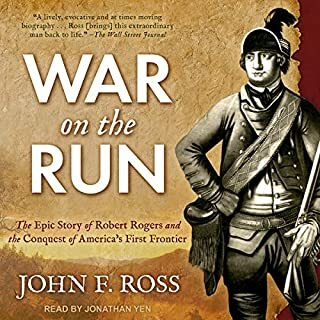 America's first military hero, Robert Rodgers adapted to Native American warfare and used it to help turn Britain's fortunes in the French and Indian war. A prolific writer, Rodgers' legacy lives on today. While it is still a very good book, detailing his methods, exploits and battles, the book is one sided in favoritism of Rodgers. Anyone critical of him at the time was either jealous or misinformed . George Washington didn't trust him. This mistrust was proven with his seduction of Nathan Hale. It was long in spots. For example, he had a manual published in England. But the book also talked about other authors published by this publisher, and commenced to read some of the poems of this other author. Then as contrast, the last 15 years of his life are sped through in a couple pages. Was there a lack of material or did he not want to discuss in detail negative aspects of his life. The narrator took a little while to get used to. First off, in the beginning of the book there was a list of characters. So he just read these lists without explanation to all sudden you start hearing French names and you don't understand what's going on. He also talks a little like Chief Wiggum from The Simpsons, so it took a little while to get used to. In Washington: A Life celebrated biographer Ron Chernow provides a richly nuanced portrait of the father of our nation. This crisply paced narrative carries the reader through his troubled boyhood, his precocious feats in the French and Indian War, his creation of Mount Vernon, his heroic exploits with the Continental Army, his presiding over the Constitutional Convention, and his magnificent performance as America's first president. 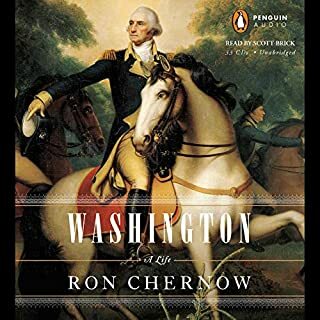 Chernow's work maybe the definitive assessment of Washington's life. Washington is a great man and heavily responsible for the success of the Revolution, but he was not without his flaws. one of the things I found interesting with respect modern times, is how much political infighting there was even in Washington's first term. The vitriol in the press was just as bad as it is today. The speaker was excellent as well. The death of General George S. Patton is shrouded in mystery. While officially the result of an unfortunate car accident, the evidence points to a far more malevolent plot: murder. 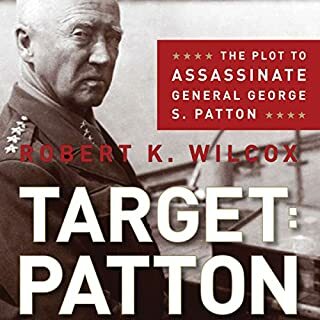 So says investigative and military journalist Robert K. Wilcox in his book Target: Patton: The Plot to Assassinate General George S. Patton. Written like a WWII spy thriller and meticulously researched, Target: Patton leads you through that fateful December day in 1945, revealing a chilling plan to assassinate General Patton. Robert Wilcox does a solid job presenting his theory that Patton was murdered. He lays out the theory and backs it up with either personal testimony, evidence, or circumstantial evidence. It is well written and documented. Wilcox concludes, there isn't enough evidence for a jury to say "guilty" but there is enough that a grand jury would have issued an indictment. I agree with that assessment. There is a certain case for motive from the Soviet side. The NKVD needed little motive to murder anyone, so that is not hard to assume. If Stalin wanted to prep for a potential war, he wanted to kill the US's best general. Roosevelt & Truman were certainly very deferential to the Russians, but I am not sure they would join in a plot to kill him. Patton was already removed from a position of influence, which he dutifully followed. If he quit, went home, and "told stories" critical of Marshall or Ike, he would have a following, but it's not like everyone would believe him, since he already had a tenuous relationship with the press. Bottom line, is that I don't think anyone in the US really had a motive. The weakest link is the Douglas Bazata story. It is the testimony of a credible operative who was in country during the period. That much is true, but how he did it seems too hair-brained to be true. If someone was going to commit and assassination, even to look like an accident, Bazata;s method, seems way too risky. First he follows the car, jams the window at a stop, then shoots him with a low velocity projectile right as the car crashed into the truck, through the open window, assuming Patton was in the right line of fire. It seems too complicated where too many things could go wrong. Why not dress up in German uniforms and pretend you are some lingering Nazi partisans? Why not ram the car, instead of pulling in front of it? 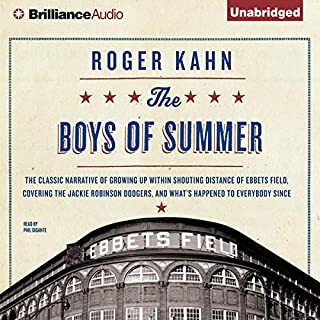 This is a story about young men who learned to play baseball during the 1930s and 1940s, and then went on to play for one of the most exciting major-league ball clubs ever fielded, the team that broke the color barrier with Jackie Robinson. It is a story by and about a sportswriter who grew up near Ebbets Field, and who had the good fortune in the 1950s to cover the Dodgers for the Herald Tribune. This is the story about what happened to the team when their glory days were behind them. even though I was born 30 years after the Dodgers left Brooklyn, I've always been fascinated by the period. I would hear stories from my dad, who grew up in Brooklyn during this period. I felt a nostalgia towards this hayday of baseball, something I wouldn't be able to experience myself. Its almost two books in one. the first part was autobiography of growing up while the second part was about about team and the players. At first, I was annoyed by The length of the autobiographical section, but came to enjoy it. Even though the book came out in 1972, there are subsequent epilogues which give additional updates throughout the years. The narrator was absolutely fantastic, doing a wide variety of voices, quickly switching between accents. Hardly were the last shots fired at the Alamo before the Texas Revolution entered the realm of myth and controversy. 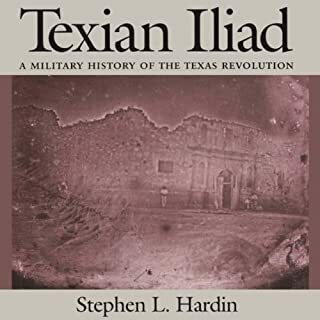 French visitor Frederic Gaillardet called it a "Texian Iliad" in 1839, while American Theodore Sedgwick pronounced the war and its resulting legends "almost burlesque." The author presents a fair and balanced view of the Texas Revolution from a military perspective. More than just the Alamo and San Jacinto, the book presents other battles that are often ignored, which helped frame the lead-up to both the Alamo and San Jacinto. he presents a balanced view of all major players in the conflict, each man has their own strengths, weaknesses, and motivations. 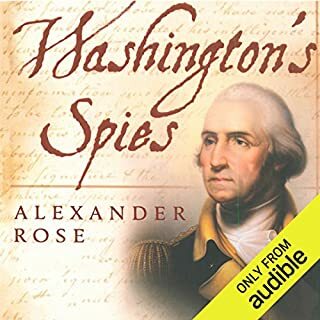 Based on remarkable new research, acclaimed historian Alexander Rose brings to life the true story of the spy ring that helped America win the Revolutionary War. For the first time, Rose takes us beyond the battlefront and deep into the shadowy underworld of double agents and triple crosses, covert operations and code breaking, and unmasks the courageous, flawed men who inhabited this wilderness of mirrors—including the spymaster at the heart of it all. this is an amazing read telling of a story that is not taught in Primary School. I do wish the show would stick closer to the actual story instead of making up new storylines love affairs and deviating strongly from history. there's so much real content , real history that all these Hollywood Fabrications are unnecessary. It was never supposed to be this close. And of course she was supposed to win. How Hillary Clinton lost the 2016 election to Donald Trump is the tragic story of a sure thing gone off the rails. For every Comey revelation or hindsight acknowledgment about the electorate, no explanation of defeat can begin with anything other than the core problem of Hillary's campaign - the candidate herself. If it had some real insight into the campaigns. Would you ever listen to anything by Jonathan Allen and Amie Parnes again? If you could play editor, what scene or scenes would you have cut from Shattered? The authors are clearly Hillary supporters and their partisanship ruins the book unless you are a Hillary fanboy. 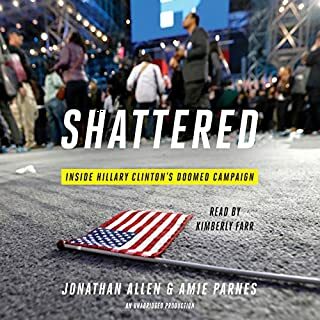 I would cut out the blatant bias and cheap shots when describing The Hillary's primary opponents and Republican adversaries, which ruins the objectivity of the book. It's no "Game Change", the behind the scenes book on the 2008 election. 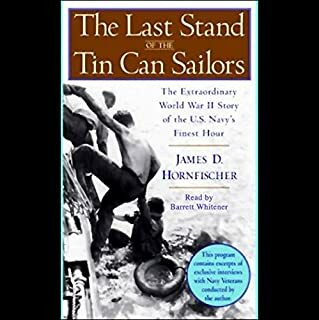 Told from the point of view of the men who waged this steel-shattering battle, The Last Stand of the Tin Can Sailors captures Navy pilots attacking enemy battleships with makeshift weapons and sacrificial valor, a veteran commander improvising tactics never taught in Annapolis, and young crews from across America rising to an impossible challenge. The story off a riveting account of the Battle of Leyte Gulf, with detailed emphasis on the Battle off Samar. 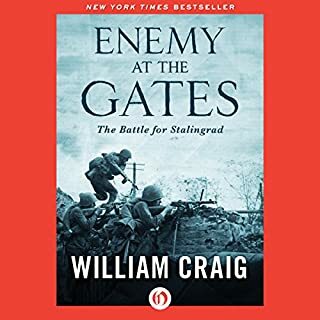 On August 5, 1942, giant pillars of dust rose over the Russian steppe, marking the advance of the 6th Army, an elite German combat unit dispatched by Hitler to capture the industrial city of Stalingrad and press on to the oil fields of Azerbaijan. The Germans were supremely confident; in three years, they had not suffered a single defeat. The Luftwaffe had already bombed the city into ruins. German soldiers hoped to complete their mission and be home in time for Christmas. My only reservation about the audio is that it is hard to visualize the towns, terrainx and landnarks without having a map which I imagine that was included in the print book. 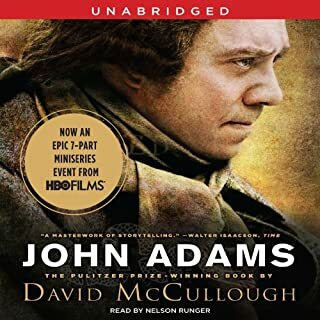 McCullough's John Adams has the sweep and vitality of a great novel. This is history on a grand scale, an audiobook about politics, war, and social issues, but also about human nature, love, religious faith, virtue, ambition, friendship, and betrayal, and the far-reaching consequences of noble ideas. Above all, it is an enthralling, often surprising story of one of the most important and fascinating Americans who ever lived.